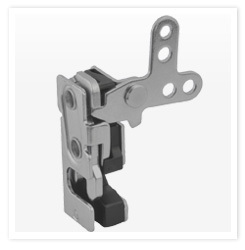 Southco’s R4-10 Rotary Latch with Integrated Bumper is now available in a stainless steel version that offers corrosion resistance for consistent performance in harsh environments. The R4-10 with Integrated Bumper is available in single and two-stage options and features a design that traps the striker between a rubber bumper and rotor. Without extra clearance or room to move, any noise potential that could be caused by metal-on-metal movement or vibration is eliminated.